You’ve heard the verse “God works out all things for good of those who love him.” (Romans 8:28) Well this is not meant to be a ‘feel-good’ verse or quote that we spout out because it sounds good – this is a powerful promise from God himself! He promises that this thing, this trial, this setback, this disappointment you are going through right now is meant for good. ‘How can that be?’ You ask – just open up the bible and see it written all throughout. Joseph was betrayed by his brothers and sold into slavery, only to be put in a position down the road to bless his family and reveal God’s grace. Job experienced great suffering, everything he once owned – destroyed; his children who he loved and constantly prayed for – dead; all those he once considered friends – gone; even the one last thing he had – his health – deteriorated. Talk about walking through a fiery trial. If you read the book of Job, you’ll see a clear picture of Satan – walking to and fro on the earth. (Job 1:7) He saw that Job was a man of God and he wanted to devour him and guess what – God allowed it. That’s right – God allowed it. Our human brains can’t comprehend this — why would God allow such a thing? And why does he allow such a thing in my life? Remember – Satan seeks to devour where God seeks to empower. If you continue reading the book of Job, you’ll see that because of Job’s faithfulness and decision to praise God, even in the pain, God empowers and blesses him more than he could have imagined. I wonder how different that story would have turned out if Job would have just cursed God and gone bitter? How different would it have looked if Job would have turned his focus fully to himself instead of holding steadfastly onto his faith? Just think how differently your story would turn out? Sometimes what we comprehend as suffering is really God’s saving grace. During seasons of pain and grief it’s easy to cry out in anguish and ask “why me?” But I dare you to gather up the courage to ask “Lord, help me to understand why you chose me; show me the goodness in all of this and use it for your glory” and be ready for what He reveals to you. Allow your seasons of trials to empower instead of devour you. Stop & Reflect: Is Satan seeking to devour you in this moment? 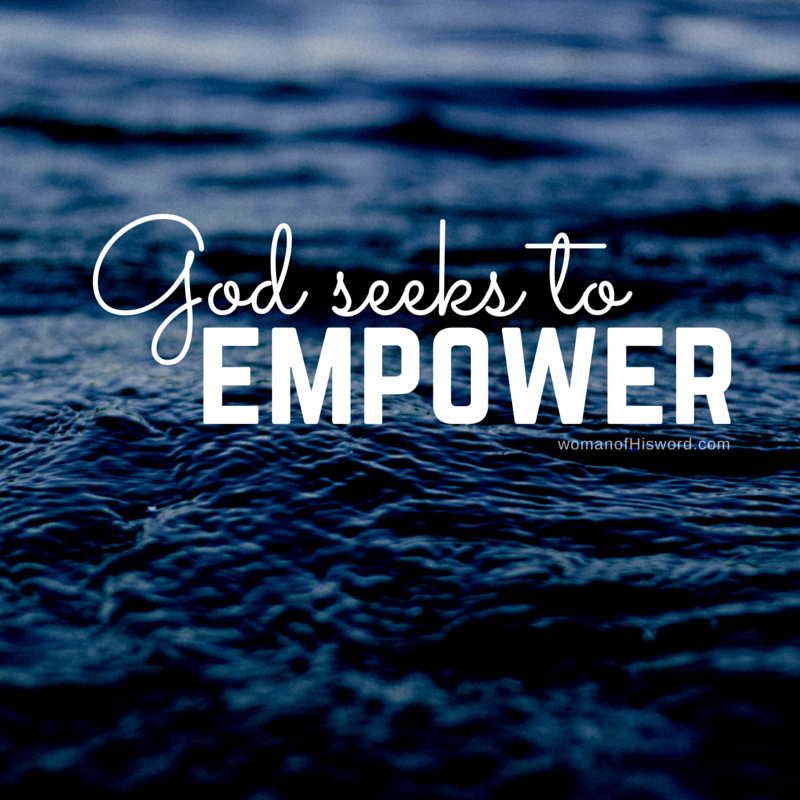 Are you willing to allow God to use it to empower you? I’d love to hear your thoughts, feel free to share in the comments below. Pingback: Battered, Bruised, and Bandaged – but Not Beaten – W.O.W. Amen!!!! Thank You for sharing. Our daughter is proof of this. The worst possible tragedy made way for the biggest blessing of our life…our precious daughter. Amen! Yes what a true testimony of His faithfulness and promise! Thank you for sharing T. Remember that Satan is crafty in his schemes, the first thing he usually attacks is our minds because from there is where our actions take place. Ask God to empower you and I pray He gives you the endurance and strength to remain faithful to him. God bless. (PS I have some great video messages I can share with you on the book of Job, keep an eye on your inbox).